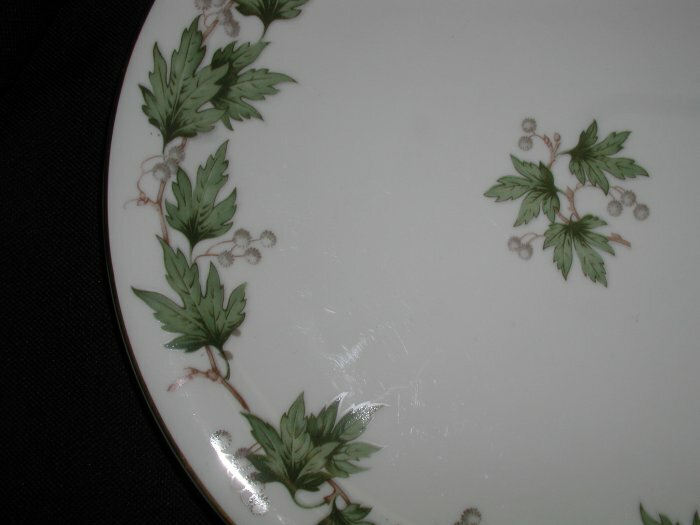 This offering is for a Krautheim Franconia Sycamore, Dinner Plate, it Measures 10 1/4". wide. Marked on bottom Selb Bavaria Germany. Pattern is Sycamore. It has a stunning border of sycamore leaves in exquisite green shades, with delicate gray blossoms and center spray. Modern shape, line translucent china in a pale ivory tint, best gold lines and traced handles. It is in great condition, no chips, cracks, crazing or utensil marks. Looks unused, packed away for years. Dam Thing Troll 1982 #243 Erik Denmark 10"